Reed Exhibitions, a division of RELX, has completed its acquisition of Mack Brooks Exhibitions. 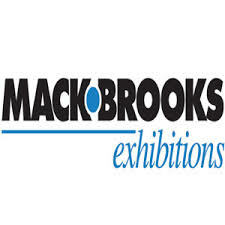 Mack Brooks‘ flagship brands include EuroBLECH (sheet metal working technology); inter airport (airport infrastructure and technology); Fastener Fair (fastener and fixing technology); Chemspec (fine and speciality chemicals); RAILTEX (rail infrastructure and technology); ICE Europe (paper, film and foil converting); CCE (manufacturing and converting corrugated and cartonboard); PSE Europe (plastics) and InPrint (print technology for industrial manufacturing). The acquisition expands Reed Exhibitions‘ global portfolio by more than 30 business-to-business events in 14 countries, delivering value for stakeholders, including customers and staff. Nicola Hamann will continue as Managing Director of Mack Brooks, and the company will continue to be based in St Albans, UK. Reed Exhibitions is a leading global events organiser, with more than 500 events in 30 countries. In 2018, Reed Exhibitions brought together more than 7m event participants from around the world generating billions of dollars in business. Today Reed Exhibitions’ events are held throughout the Americas, Europe, the Middle. It is part of RELX, a global provider of information and analytics for professional and business customers across industries.